Bob's clients refer to him as "Big Bob", "Amazing Bob", "Coach Bob". Bob's background in life-long fitness and simple vital nutrition began in 1973 while in high school. After a successful tour with the Unites States Navy and working in the aerospace field, Bob began working with the YMCA of USA, Santa Barbara / Channel Islands district. Certified by YMCA USA as Fitness Instructor, Strength Coach and Weight Management Counselor in the "Think Light" program, Bob went on to improve lives in the corporate world. Focus areas are Adult Trainer, personal image change through balance of the subconscious mind, self image and the physical body. Related areas are Communications Improvement Team Facilitator with Lockheed Martin, Northrop Grumman, General Dynamics and Leadership Strategies of Atlanta Georgia. Building relationships and bonding with people and personal fitness are three major strengths. Bob is also certified to teach the Effective Facilitator and Strategic Planning courses as a Core Facilitator for Leadership Strategies. Bob's passion is helping people achieve peak experiences in life through sensible, honest ethical communication, self improvement and vital mind-body connection. 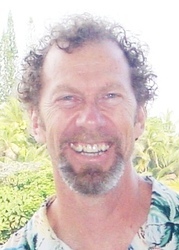 Bob lives, loves, laughs and changes lives with his wife and many friends while living on Hawaii Island, Hawaii. Have you worked with Robert? Tell your friends! Robert doesn't have any reviews yet. Robert hasn't submitted any articles.